Gamification is a kind of a buzzword today. The recent decade has seen a rapid boom in applying gamification concepts in different markets as companies and organizations implement them with open arms. It’s reasonable: gamification is an ultimate tool for the increase of engagement and efficiency for any business. More than that, gamification is an essential element of any company’s digital transformation that’s why we’ve decided to explore its possibilities on a deep level. What is gamification? Gamification is the process game-based techniques integration into non-gaming environments in order to engage people, solve problems and analyze users’ behavior patterns. Its usage can benefit a wide variety of industries. While some people think that gamification market is limited exclusively to E-commerce, education, advertising/marketing and entertainment, gamification benefits are extended to manufacturing, retail, utility, healthcare and electronics industries, as well as financial and global consulting services. In the business context, gamification allows implementing game mechanics into any business application. It can increase the productivity of the workforce or the interest of customers in various companies’ products. 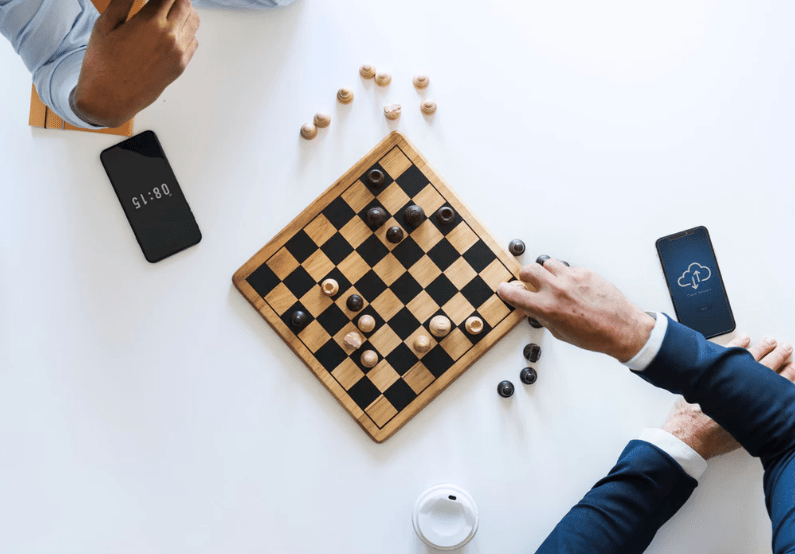 A gamification system encourages people, motivates them and helps to make better decisions by influencing humans’ natural desires for competition, accomplishment and achievement. According to the Statista, the global gamification market is expected to rise from 4.91 billion U.S. dollars in 2016 to 11.94 billion in 2021. Having originated from video games, gamification finds its application in different fields, but most frequently it is used in the consumer or employee worlds. According to Gallup’s 2016 The Worldwide Employee Engagement Crisis report, only 13 percent of employees are engaged with their jobs. The introduction of gamification concepts into the business practice of such companies as Nike, eBay, Starbucks, IBM, NBC has resulted in a significant improvement of the situation. Challenge Timer is the productivity app that uses the Pomodoro method for boosting engagement & productivity. It marks tasks as achievements and gives employees a positive feeling about their work. Challenge Timer has limited pause for the tasks and creates forced window for employees. To stop the task an employee needs to admit the defeat. And it’s clear that nobody likes to lose or get defeated. Yet healthcare is one of the best examples of effective gamification implementation. The continued proliferation of mobile devices and wearables observed over the recent decades has opened more opportunities for the gamification market. A prominent example is healthcare and wellness market. As this industry becomes increasingly costlier today, insurance companies, employers and healthcare providers struggle to keep people away from hospitals by managing their state of health through achievement-based activities. Gamification of the wellness sector provides a variety of benefits for healthcare companies, such as increasing the employee engagement, lowering costs, improving outcomes, motivating patients to follow health care plans, changing user behavior in an easy way. A good example is Apple, which has long enough been forcing its way into healthcare with such devices as Apple Watch and iPhones, the owners of which are encouraged to accomplish different care or fitness tasks in order to get a reward. Fitocracy is another great example of the app which gives users the feeling of the progress through experience and leveling up. Quests and achievements help users to find each other and create online fitness groups. In this way, Fitocracy encourages users other to work out and eat a healthy food. HOW IS SAP USING GAMIFICATION? The software giant SAP AG has been involved using gamification since 2006, and in 2015 it introduced its own cloud-based gamification platform. The arrival of this large business software vendor signaled a new phase in the gamification industry as it enabled its shift from a niche to a mainstream technology. SAP Cloud Platform Gamification allows introducing gamification concepts to large enterprise systems. The platform offers administration environment for managing and developing game mechanics, web API for easy integration of applications, suite of widgets, real-time feedback, gamification analytics for continuously improving the game concepts and Single-sign-on (SSO) support provided by SAP ID Service. With our experience in SAP implementation and game design, we at Softengi decided to test SAP Cloud Platform Gamification to highlight some advantages which can play a key role for the users, as well as those aspects of the platform that are still requiring further development. First of all, SAP Cloud Platform Gamification offers staple gamification features, such as Points (measurement in an application, where points can be seen as rewards for completed actions), Levels (indication of the proficiency in gaming experience), Badges (a form of the user’s achievement) and Missions (goals of gamification activity). The system provides distribution for teams and makes the process of data analysis more convenient by defining the efficiency of the whole group of people so that there is no need to consider the results of individual members of the group and manually determine the average value. But the key strength of this system is real-time analytics. The SAP platform does not require its users to monitor regularly the achievements of the players and their behavior patterns as it offers deep analytics, thus making the process more efficient and convenient. SAP analytics provides the insight and relevant data the user may need to analyze the activities of players. The system of notifications. SAP Cloud Platform Gamification notifies players about events, the points they earned or achievements in the application. It helps to engage players in gaming experience by giving them positive reinforcement. Additionally, this platform offers the developer an opportunity to create in a simple and intuitive way a sequence of actions, a so-called chain of quests. It is also important to note a high level of data security of the system upheld within SAP Cloud Platform Gamification. The user data are stored in secure SAP data centers around the world where they are protected in multiple ways. There are some issues as well but we are working on their solution. Although the developers cannot set change the application design and adapt it to their own content, the system allows only to change the icons of badges, user images and missions. The SAP solution uses points as a basis for developing processes and configures everything around them, which developers may find confusing. For instance, in case of running across a fault in the design, the developer can be forced to take a long way back in order to find and fix the mistake. A good alternative could be to identify all entities in the platform and create a system of gamification based on it. Such a solution can make the process of creating the application easier. Currently, SAP gamification solution does not offer mechanics of daily, weekly or monthly tasks, as well as missions available at certain times and the platform does not provide a mobile version, which is yet to come. WHY ALL THIS FUSS WITH GAMIFIED BUSINESS SOLUTIONS? The popularity of game technologies and their business adaptation continues to grow. The arrival of such global giant as SAP into the gamification market has marked the beginning of a new phase of the gamification industry, namely turning it from a novel and exotic to a more mainstream technology. The SAP Cloud Platform Gamification with its 300,000 customers worldwide who are successfully using its applications and innovations has proven its efficiency and reliability, helping easily incorporate gamification concepts into new and existing applications. Gamification provides both employees and clients with a positive & engaging experience. Through daily tasks and achievements, businesses manage to increase clients’ and employees’ rloyalty, loyality and virality. Game bonuses help with promotion of the new products and services and serve as the reminder about some old ones. Long story short, gamification is so popular simply because it works.